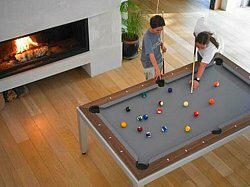 Play Pool at our Pool Tables with friends or family and make memorable moments come alive. This is an excellent game of skill that will get you in a competitive mood, as you proceed to play. Keep to the rules and you will not want to leave the pool table ever. Creates a lot of excitement for the players ans well as the onlookers. When groups are involved, the excitement multiplies. An interesting way to enrich your stay at Ultimate Paradise Resort - taking home memories of action, luck & skill. 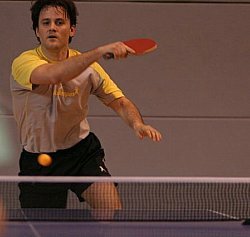 Playing Table Tennis is an action-packed game, especially when all players are keen to win. Table Tennis tests how quick your responses are, with results that get you instant success or failure. The speed that this game involves means that your sense of vision is being constantly tested. Enjoy endless hours playing at your favourite resort, to go back refreshed. This sport can help create a lot of group activities - with cheering and booing that adds to enhanced enjoyment for you and your family or friends at Ultimate Paradise Resort. We promise to use it only to send you Bandra Buzz.